Since 1907, each end of year, millions of people travel and gather to say goodbye to the year. With the great "ball" of New York Times Square that descends counting to start a new year. The celebrations begin seven hours before midnight in the streets, with live shows of both street artists and celebrities. It is the corner where travelers enjoy luxurious tourism in the new year. New Year's shows begin 30 minutes before midnight to receive a new year. This show has been held for 60 years along the Bay of Valparaiso and is the largest in Latin America. 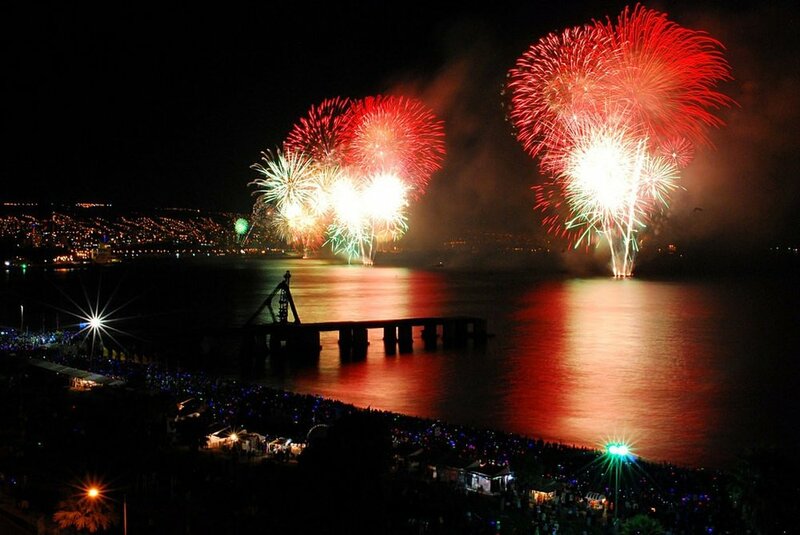 It is very common to rent boats, go on a cruise or attend a beach party to enjoy the fireworks. The capital of the tropical country during the first days of December, it enjoys the tradition of illuminating the whole city. The great Christmas tree that is in the Children's Hospital is lit, the facade of the Children's Museum is also illuminated at the same time as fireworks are thrown. They have a quirky evening parade with music bands and themed floats of light and colour, with positive messages for everyone and especially for the children. 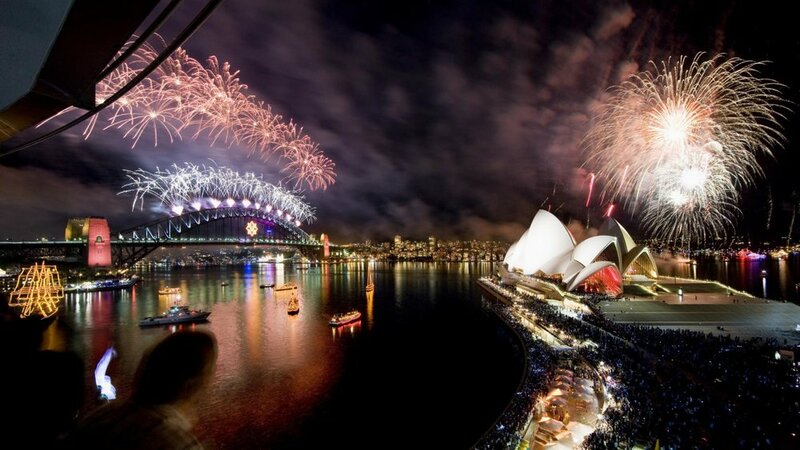 The Australian city's fireworks show demonstrates every year an impressive show with the Opera House and the bay with festivities all over. The number one show given at midnight is the one that bids farewell to the year and lasts about fifteen minutes with all kinds of fire displays. It is a tradition to see these shows from the Botanic Gardens, where admission is free. 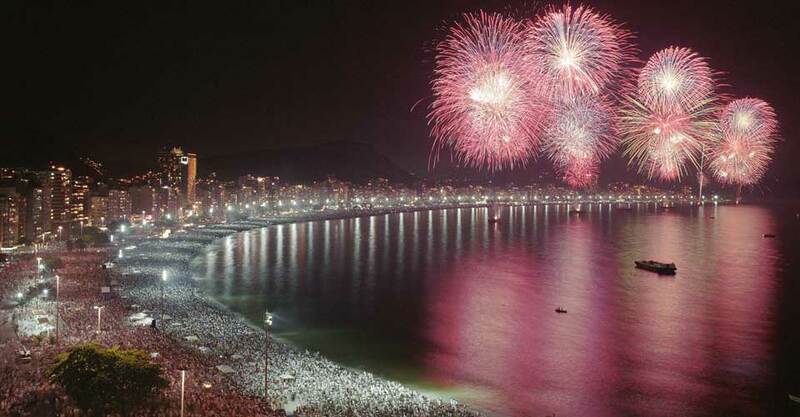 Copacabana is the place to give a very good welcome to the new year. Known worldwide, the beach visitors parties to the rhythm of samba with drum shows in the acclaimed Reveillon. The Reveillon is a fun carioca party where fireworks and good music are assured to make the start of your year, Brazilian style. And if you are up for it, you can also be part of the tradition and eat seven grapes, throw flowers to the sea, enter it and jump three consecutive waves, so that your next year this loaded with good luck.